I’ve used the current Mojo Monday challenge layout, some baby blue card from my stash, design papers from Lily of the Valley and a Forever Friends topper. The sentiment was done on the computer, to make sure it fitted in the space! I’ve used my Spellbinder dies and the edging has been done with a Martha Stewart punch. 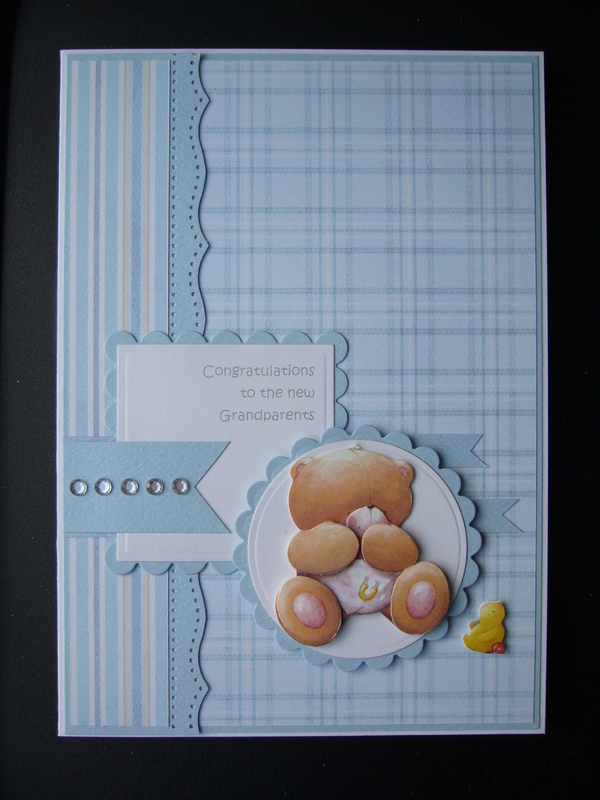 Your baby card is so perfectly adorable, Rachel!